New tutorials are constantly materializing on the internet. So if you like material, here are a few sewing projects you might attempt! These are great, thanks for the roundup! these are great, I love when you post the tutorials. I just wish they were all as good as Erin Erickson's. Hers are no fail patterns. Oh wow I seriously have to make that retro bag for myself. Too cool! 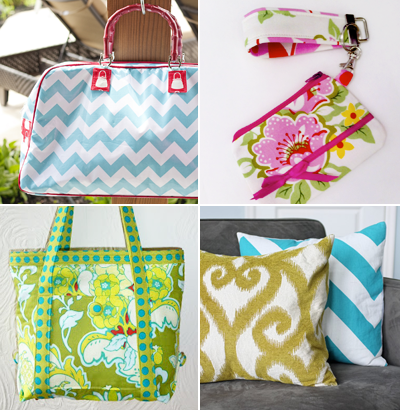 Jessica, thanks for including my pillow tutorial among these fabulous bags! This is my first comment on How about orange? I love to read article and blog on sewing. Thanks for sharing such a good sewing patterns. Wonderful. Really love that tote bag. Thks!